Let’s acknowledge the elephant in the room: even the best sales leader is still a single person, not some kind of commission magician. No matter how many spreadsheets you make or how many Tony Robbins podcasts you download, today’s sales workload is too much for any single person to handle. In fact, research shows that 50% of salespeople will miss their number this year. So let’s take a collective breath and acknowledge the truth: there’s just no way any one person can manage today’s sophisticated sales funnel and pipeline without significant assistance. 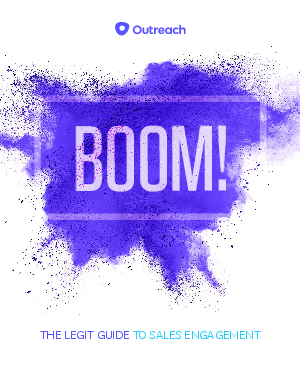 Sales engagement platforms are a cutting edge solution to these formerly insurmountable sales challenges.